With its realistic and authentic details, we know this costume will make everyone believe you're really a mariachi. This men's outfit doesn't skimp on believability and it certainly comes with everything you'll need to pull it off. 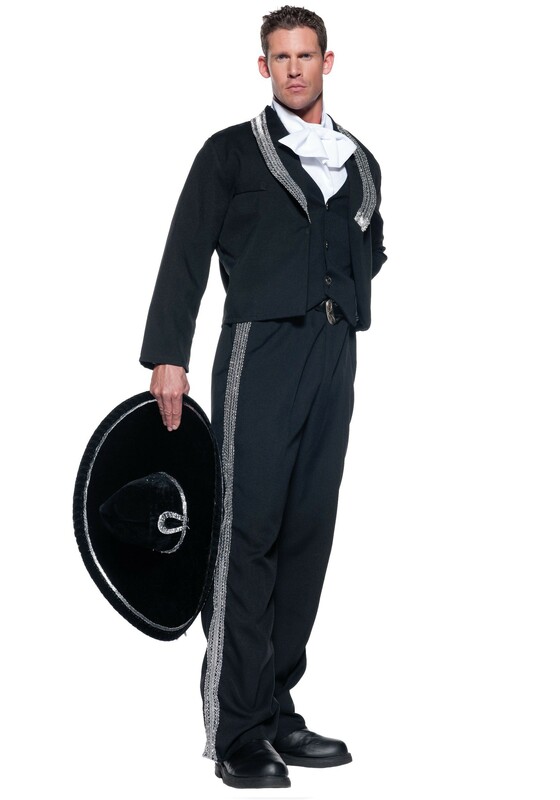 That includes the pants, jacket/vest combo, and sombrero, all of which have a decorative metallic silver trim that will truly turn heads. Best of all, the costume is easy to get into and take off thanks to a convenient elastic waist on the pants... because when it comes time to make your move, speed and maneuverability will be key—you never know when you'll need to break out into a wicked guitar solo!